Congratulations! Through the unified efforts of Heaven and Earth, we have God Victoriously Birthed the New Earth in the 5th-Dimensional Realms of CAUSE. During the unprecedented celestial alignment that took place on December 21st and 22nd, 2012, our Father-Mother God Inbreathed the Earth and ALL Creation up the Spiral of Evolution into the next octave of our learning experiences. This event, which was called the Shift of the Ages, is a natural part of our evolutionary experience that occurs only once every so many million years. This shift involved not only the Sons and Daughters of God evolving on Earth, but also the Sons and Daughters of God throughout Infinity. Each and every Child of God is now in position to cocreate with our God Parents the next phase of our journey back to the Heart of our Father-Mother God. 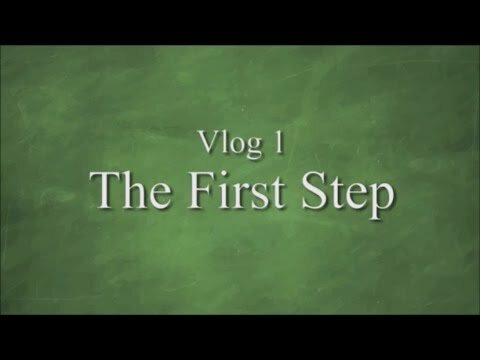 This will be a unique process for every Child of God throughout the Universe, but on Earth it will be glorious beyond our wildest imagination. In order to grasp the magnitude of what the Birth of the New Earth in the 5th-Dimensional Realms of Cause means for each of us, we must understand that the 5th Dimension is a frequency of Light that transcends separation and duality. Within this higher frequency of vibration the gross mutations of disease, poverty, hunger, war, greed, hatred, or pain and suffering of any kind cannot be sustained. The 5th Dimension is a timeless, spaceless frequency of God's Infinite Light and Perfection. It is the frequency that we have always known as the Heavenly Realms. Now with the Shift of the Ages God Victoriously accomplished, the Heavenly Realms have Ascended up the Spiral of Evolution into the 6th-Dimensional Realms of Light. I know the events of the 2012 December Solstice have created a lot of confusion. That is because of people's expectations, and because it is difficult for people to step back and see the bigger picture. For aeons of time our fragmented, fear-based human egos have manipulated us into believing that our physical body is who we are and that the physical plane is our only reality. Nothing could be further from the Truth, but that illusion is a hard habit to break. We look at the outer world and come to erroneous conclusions about events that have taken place in multidimensional levels of our existence. Our conclusions are wrong because we are multidimensional Beings of Light abiding within many dimensions simultaneously. The physical plane is the least real of all of the dimensions we abide in, and it is the very last dimension to reflect the changes that have taken place in the Realms of Cause. The Company of Heaven is very aware of the challenge we have with our egos, and they are doing everything they can to help us perceive the Truth of the miraculous Birth of the New Earth. Ask your I AM Presence and the Company of Heaven for clarity as you take the following information into your heart of hearts. You are already aware of the wonders that have transpired. That is true even if you do not remember these events on a conscious level. You have been an instrument of God during this Cosmic Moment, and you were an intricate part in the fulfillment of this important part of the Divine Plan. On December 21, 2012, during the moments of Earth's alignment with the Galactic Core of the Milky Way, our Father-Mother God Inbreathed this planet and all Life evolving upon her up the Spiral of Evolution. During that Cosmic Moment, this precious planet reclaimed her rightful place in our Solar System. That sacred event paved the way for another activity of Light that had to be victoriously accomplished in order for the New Earth and ALL Humanity to be successfully Birthed into the full embrace of the 5th Dimension. Over 2,000 years ago, Jesus, the Avatar of the Piscean Age, revealed an activity of Light that would take place during these "end times" which would serve as a catalyst for returning the fallen Sons and Daughters of God on Earth to Christ Consciousness. The event he revealed was a Baptism by Sacred Fire that would be initiated by our Mother God, the Holy Spirit, on behalf of awakening Humanity. This miraculous event was God Victoriously accomplished on December 22, 2012, thus paving the way for the successful Birth of the New Earth in the 5th Dimension. In order for us to comprehend the enormity of what has occurred for Humanity and the Earth, the Company of Heaven asked me to reiterate some important information they gave to us about events that paved the way for the wondrous Birth of the New Earth. There are thousands of new people on our newsletter list, and this background is very important. This article is a little long, but I promise you it is well worth your time. In the beginning, we were a full-grown Being of Light, and an Immortal Victorious Threefold Flame enveloped our Earthly bodies. The Blue Flame of our Father God's Power activated our left-brain hemisphere and the rational, logical portion of our brain. It also activated the masculine power center within our Throat Chakra. The Pink Flame of our Mother God's Love activated our right-brain hemisphere and the creative, intuitive portion of our brain. This Sacred Fire also activated the feminine love center within our Heart Chakra. Our Mother God is the feminine polarity of God. She is the Holy Comforter and expresses the Love Nature of God. She is the Being we came to know as the Holy Spirit within the Holy Trinity. Initially, the masculine and the feminine polarities of our Father-Mother God were perfectly balanced within us. This allowed our Father God's Blue Flame of Power and our Mother God's Pink Flame of Love to merge into the Violet Flame of God's Infinite Perfection. This perfectly balanced Violet Flame activated our spiritual brain centers, which are our pituitary, pineal, hypothalamus glands, and the ganglionic centers at the base of our brain. When these spiritual brain centers were activated, our Crown Chakra of Enlightenment opened to full breadth allowing the Yellow-gold Flame of Christ Consciousness to Birth the Child of God that we are into the physical plane of Earth. This Yellow-gold Flame completed our Immortal Victorious Threefold Flame and the manifestation of the Holy Trinity within us. After our fall from Grace, we created overwhelming pain and suffering for ourselves. We used our gift of free will and our creative faculties of thought and feeling to create patterns of imperfection that resulted in all of the maladies that are now existing on Earth. When we began experiencing pain for the first time we were afraid, and we had no idea how to cope with what was happening in our lives. We were so buried in our self-inflicted strife that we could not raise our heads above the mud puddle of our miscreations enough to see the Light. 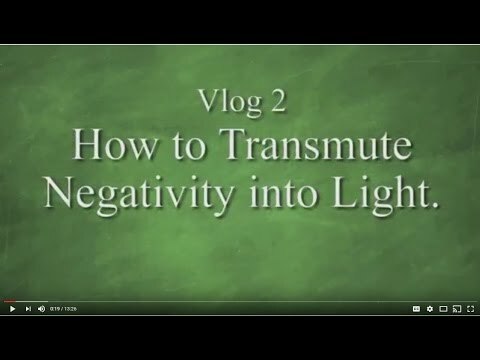 This prevented us from communicating with our God Self or from perceiving viable solutions to our problems through Christ Consciousness. All we wanted to do was make the pain stop. We knew that our Heart Chakra was the portal through which our feelings were expressed in the physical plane. We thought that maybe if we blocked this portal, the pain would stop. So the Children of Earth, in a desperate attempt to stop our pain, made the fateful decision to close our Heart Chakras. The Beings of Light revealed that when we closed our Heart Chakras, we blocked the portal through which our Mother God's Love entered the physical plane of Earth. This catastrophic occurrence forced our Mother God to withdraw her Love to a mere trickle of its original intensity. This created monumental problems that catapulted the Earth and all her Life into a downward spiral of darkness, pain, and suffering. Once we closed our Heart Chakras, the infinitesimal amount of Divine Love our Mother God was able to project through our right-brain hemispheres, was barely enough to sustain brain consciousness. This caused our right brains to became almost dormant. When that occurred, the Blue Flame of Power from our Father God and the Pink Flame of Love from our Mother God no longer merged into the perfectly balanced Violet Flame of God's Infinite Perfection. Our Father-Mother God's balanced Violet Flame was the catalyst that activated our spiritual brain centers and opened our Crown Chakra. Without the support of the Violet Flame, our spiritual brain centers began to atrophy. This forced our Crown Chakra to close, which prevented us from communicating with our God Self and the Company of Heaven. We were no longer able to maintain Christ Consciousness. When we lost conscious awareness of our God Self and the Company of Heaven, we started to perceive the physical plane as our only reality. We came to the distorted conclusion that our physical body is all that we are and that the gratification of our physical senses is our purpose and reason for being. As we plodded through our Earthly existence making choices that took us further into separation and darkness, we developed a fear-based alter ego. This fragmented aspect of our personality is known as our human ego. Our human ego usurped the control our God Self was supposed to have over our Earthly bodies. Without the balance of our Mother God's Love, we began abusing our masculine power. We made power-oriented decisions that did not take into consideration how our choices would affect other people, or if they reflected Love or a Reverence for Life. When we were in male bodies we abused our power by being violent and aggressive. When we were in female bodies, we abused our power by suppressing it and allowing ourselves to be dominated and oppressed. The more we abused our power, the deeper we fell into the abyss of our human miscreations. As time went on, our plight became much worse. Then, 2,000 years ago, during the dawn of the Piscean Age, an evaluation was made by our Father-Mother God and the Company of Heaven to see what the greatest need of the hour was for Humanity. The Shift of the Ages was coming and our hearts were still closed. We were oblivious about the Love of our Mother God, and we no longer functioned with Christ Consciousness. It was clear that without powerful Divine Intervention Humanity would not be ready to make the shift into the 5th Dimension. The Children of God on Earth had fallen into an abusive and power-oriented patriarchal consciousness. We were being totally manipulated by the "dog eat dog" attitude of our fragmented and fear-based human egos. We were oblivious of our Mother God and her Divine Love. We knew that there was only One God and that we are all Children of God, but it did not occur to us that this all-encompassing Presence of God was both masculine and feminine. Amazingly, we assumed that as Children of God we had a single parent, and we believed that parent was male-a Father God. What child is ever birthed without a Mother? "As above, so below." During Earth's evaluation by our Father-Mother God and the Company of Heaven at the inception of the Piscean Age, it was clear that the greatest need of the hour was for Humanity to reclaim our Divine Birthright as Sons and Daughters of God. The only way to accomplish that goal was for us to return to Christ Consciousness. And the ONLY way to return to Christ Consciousness, was for us to open our Heart Chakras and the portal within our right-brain hemispheres through which our Mother God could return to Earth. In other words, without the Love of our Mother God there was no way to regain Christ Consciousness. Humanity would have to open our Heart Chakras and balance our Mother God's Flame of Divine Love within our Immortal Victorious Threefold Flame. Only then could our right and left brain hemispheres become balanced, and our spiritual brain centers reactivated, thus opening our Crown Chakra and returning us to Christ Consciousness. In order to accomplish this mighty feat, a Divine Plan was set into motion. Our Father-Mother God summoned a Beloved Son and Daughter of God from the Great Silence. These precious Beings were Twin Flames who had been in the Great Silence for a very long time learning how to anchor the archetypes for both the return of our Mother God and Humanity's return to Christ Consciousness. They are the ones we have known as Jesus the Christ and Mary Magdalene. These selfless Beings of Light volunteered to embody on Planet Earth to demonstrate to the fallen Children of God the reality of our Mother God, and the path of Divine Love Humanity must follow in order to return to Christ Consciousness. Jesus and Mary Magdalene knew that because of Humanity's ingrained belief in the patriarchal authority of a single Father God, Mary's role would initially be as a silent partner. Her part of the Divine Plan was cloaked in secrecy to prevent the plan from being blocked through the abuse of power being wielded by Humanity's patriarchal human egos at the time. Jesus and Mary Magdalene were equal partners, and together they God Victoriously accomplished the Immaculate Concept of their Divine Missions. During what is referred to as "the lost 18 years," Jesus and Mary Magdalene studied in the mystery schools of India, Tibet, and Egypt. When it was time to begin their mission of anchoring the archetypes for the return of our Mother God and Humanity's return to Christ Consciousness, Jesus demonstrated for all the world to see the imperative first step-the return of the Divine Feminine, our Mother God, the Holy Spirit. At the age of 30, Jesus and Mary Magdalene came to the banks of the Jordan River, where Jesus immersed himself in the sacred water element. Water represents the emotional strata for the Earth as well as the emotional bodies for Humanity. Once Jesus was in the water, he participated in a Divine Ceremony that anchored the archetype for the return of our Mother God. In that ceremony, John the Baptist washed away the sins of the world by Baptizing Jesus with the Love of our Mother God-the Holy Spirit. We have all seen pictures of Jesus standing in the Jordan River with the Dove of the Holy Spirit descending into his Crown Chakra. In that moment, Jesus' right-brain hemisphere was brought into perfect balance with his left-brain hemisphere. His spiritual brain centers were activated, and his Crown Chakra was opened to full breadth. When this occurred, Jesus became the Christ grown to full stature and his mission of modeling Humanity's Divine Potential as a Beloved Child of God began in earnest. Simultaneously, Mary Magdalene experienced the same anointing through a Baptism of the Holy Spirit. At that moment, Jesus and Mary Magdalene became the Avatars of the Piscean Age. For the next three years Jesus modeled to the world the path of Oneness and Divine Love that each of us must follow in order to regain Christ Consciousness. Day in and day out, Mary Magdalene supported Jesus with her love, and held the sacred space for the fulfillment of their Divine Missions. The path of Oneness and Divine Love is the only way the Children of God will return, through Christ Consciousness, to the Heart of our Divine Father and Mother. Jesus demonstrated this path and our Divine Potential through various activities of Light and the miracles he performed. Both he and Mary Magdalene clearly revealed the Oneness of Life through their dedication to each other and their reverence for ALL Life. At the age of 33 Jesus accomplished the final facets of his Divine Mission. Thirty-three is the master number that reflects the Christ made manifest. There is a lot of discussion at this time as to whether Jesus was actually crucified and whether or not he resurrected his body. The Company of Heaven has confirmed that both of these events were vitally important to the fulfillment of Jesus and Mary Magdalene's Divine Plan. Contrary to the guilt-inducing things we are often told, the reason Jesus was tortured and crucified was not to atone for Humanity's sins because we are such worthless sinners and worms in the dust that someone had to save us. In Truth, our Father-Mother God gave each of us the gift of free will and NO ONE is allowed to interfere with Humanity's experience, or the ramifications, of our free-will choices. We are responsible for how we have used our gift of Life, and we must experience the consequences of our thoughts, words, actions, feelings, and beliefs whether they were positive or negative. Jesus agreed to be crucified because he wanted to prove to the world that there is nothing the fallen human ego can do to the physical body that will destroy the Divinity within us. His crucifixion and resurrection proved that even if one's body is reviled, tortured, and crucified, the Divinity within is eternal and lives on in our Light Body. Jesus and Mary Magdalene came to anchor the archetypes for the return of our Mother God and to demonstrate the path of Oneness and Divine Love that each of us must follow in order to return to Christ Consciousness. Jesus knew, however, that our human egos were powerful and that our lack of trust in ourselves was overwhelming. He was very aware that the potential was great that we would misunderstand his mission. After all, many Avatars had come and gone since Humanity's fall from Grace, each one with the intent of teaching Humanity the path of Divine Love that would lead to Christ Consciousness. In every attempt, Humanity separated ourselves from the Avatars and Deified them with the hope that they would save us. Jesus was determined to not let that happen this time, so he created a plan that would clearly demonstrate to Humanity that we are each responsible for our individual return to Christ Consciousness. In the final act of Beloved Jesus' mission he wanted to clearly reveal to Humanity that he cannot do this for us and that we are not saved simply because he was here. Jesus left a powerful archetype to prove that no matter how dedicated we are to him, we are each responsible for our return to Christ Consciousness. In order to create this archetype, Jesus invoked the assistance of his Beloved Disciples. After Jesus' resurrection in his Light Body, he remained on Earth for 40 days. During that time he expanded his Light Body and lifted the Disciples into Christ Consciousness, so that they could experience the return of our Mother God and what it was like to reconnect with their God Selves. In Christ Consciousness the Disciples were able to perform all of the miracles Jesus performed. They quickly learned the lessons that would enable them to continue the mission that had been started by their beloved brother, Jesus. They prepared to spread the Truth of our Mother God, the reality of Humanity's Divinity, and the Path of Oneness and Divine Love that would lead to Christ Consciousness for every evolving soul. At the end of the 40 days, it was time for Jesus to Ascend into the next phase of his mission. When the Heavens opened and Jesus Ascended into the Realms of Illumined Truth, he withdrew his Light Body from the Disciples. Since the Disciples had not attained Christ Consciousness through their own endeavors they began to falter and they lost the ability to sustain Christ Consciousness. The Disciples realized that in spite of their great love for Jesus and their dedication to him and his mission, he could not save them or sustain them in Christ Consciousness. It was not enough for them to love him, or for them to accept him as their personal savior. Reaching Christ Consciousness was something each of them would have to accomplish on his own. The most Jesus and Mary Magdalene could do was anchor the archetypes for the return of our Mother God, and demonstrate the path of Oneness and Divine Love that we must each follow in order to return to Christ Consciousness. For ten days the Disciples struggled with their predicament. On the 50th day after Jesus' resurrection, the day we now call Pentecost, the Disciples realized what they must do in order to attain and sustain Christ Consciousness. On that day the Disciples entered what was called the Upper Room. This was a higher state of consciousness that they each attained by consecrating their lives to the path of Oneness and Divine Love. In that elevated state of consciousness, each of the Disciples opened his heart and from the depths of his Being invoked the return of our Mother God through a Baptism of the Holy Spirit. This time the Baptism was by Sacred Fire instead of water. In that instant, the Disciples' right-brain hemispheres were brought into perfect balance with their left-brain hemispheres. Their spiritual brain centers were activated, and their Crown Chakras were opened to full breadth. This allowed the Disciples to regain Christ Consciousness and to reconnect with their God Selves. We have all seen depictions of the Disciples after their Baptism with Sacred Fire by the Holy Spirit. They are shown with a Flame pulsating from their Crown Chakras indicating that they had regained Christ Consciousness. Even with all of the archetypes that were carefully anchored during the Piscean Age, Jesus and Mary Magdalene knew that it would be millennia before Humanity would really understand their message and reclaim our Divine Birthright as Beloved Children of God. It was obvious that our human egos were not going to relinquish their patriarchal control easily. The resistance would be great, and every possible effort would be made to suppress the role of Mary Magdalene and the Truth of our Mother God. Jesus confirmed this knowing in Revelations when he stated, "In the Day of the Seventh Angel, when he shall begin to sound, the mystery of God will be fulfilled and time will be no more." He said this would involve the Second Coming of the Christ through a Baptism by Sacred Fire. The Piscean Age was the Day of the Sixth Angel. Jesus is known as the Prince of Peace because of the Divine Qualities associated with the Sixth Solar Aspect of Deity, which was the predominant influence during the 2,000-year cycle of the Piscean Age. Jesus' symbol is the fish, because he and Mary Magdalene were the Avatars of the Piscean Age, which is represented by the symbol of the fish. Now we have entered the Age of Aquarius and the 7th Angel is beginning to sound. During the next 2,000 years, the 7th Solar Aspect of Deity which pulsates with the Violet Flame will be the predominant influence on Earth. During the past 25 years, Humanity en masse reached a tipping point that allowed for the return of our Mother God in profound and unprecedented ways. The I AM Presence of every man, woman, and child on Earth has made the choice to reclaim our Divine Birthright as Sons and Daughters of God and to return to Christ Consciousness. On December 21, 2012, we God Victoriously passed through the Shift of the Ages. On December 22, 2012, Humanity received a Baptism from our Mother God-the Holy Spirit-that bathed Humanity and the Earth in 5th-Dimensional Crystalline Solar Sacred Fire. This paved the way for the God Victorious Birth of the New Earth into the 5th-Dimensional Realms of Cause. On December 22, 2012 literally millions of awakened Humanity around the world focused the power of our attention on the Birth of the New Earth. Together we created a Forcefield of Divine Light that moved the Earth and ALL her Life through an unstoppable shift of energy, vibration, and consciousness. Now every particle of Life on Earth is abiding in frequencies of Divine Light that will transform this blessed planet into the patterns of perfection for our new Planetary Cause of Divine Love as we focus on them through our thoughts, words, actions, feelings, and beliefs. 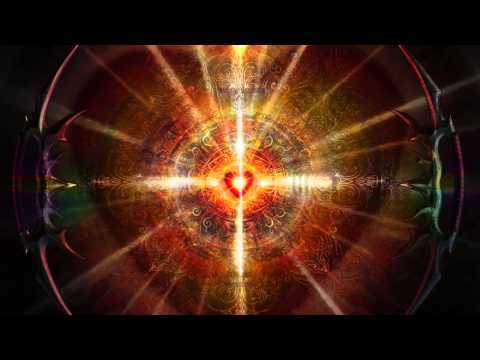 This is the beginning of the Renaissance of Divine Love Humanity is destined to cocreate in the physical world of form as we live, move, breathe, and act out of this new reality. Pay attention. Focus ONLY on what you want to cocreate on the New Earth through Love and Reverence for ALL Life. With the Birth of the New Earth we have moved into a Higher Order of Being. Love is the Order of the New Day on Planet Earth. This is not just a lofty platitude or wishful thinking. This is the reality of the New Earth we are now living upon. A supreme consciousness of Love is filtering into the heart and mind of every person on the planet. The masses of Humanity will soon "see with new eyes and hear with new ears." Daily and hourly keep this inner knowing in your heart and mind. Pay attention to the Loving experiences manifesting all around you. You will be amazed at the things that are happening within Humanity that reflect a new consciousness of Love, Oneness, and Reverence for ALL Life. Throughout 2013, 2014, and 2015 the Company of Heaven will guide us through amazing opportunities that will accelerate the process of our tangible manifestation of the New Earth. All we have to do is ask. Those patterns of perfection exist right here, right now. These are wondrous times. Stay focused in the Light and pay attention. This is the beginning of our glorious New Reality. And so it is! explained in such a way before.. Many thanks, Patricia, for the welcome! You are both wise and good because you know that today is a new heaven and a new earth! Very insightful. Thank you so very much, Patricia, for this wonderful message. It resonates so very much. Much love to you!